Your WorthPoint Account is Suspended: Please update your billing information in My WorthPoint to reactivate your account! 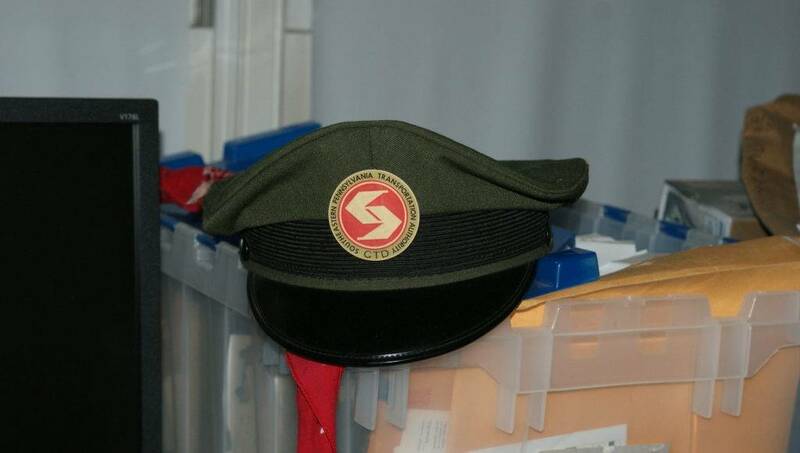 A SEPTA [Southeastern Pennsylvania Transportation Authority] trolley driver’s cap. ANSWER: SEPTA is a regional public transportation authority that provides bus, rapid transit, commuter rail, light rail, and electric trolleybus service for Philadelphia and counties of Bucks, Chester, Delaware, and Montgomery. SEPTA was created by the Pennsylvania legislature on August 17, 1963, and commenced operations on February 18, 1964. SEPTA initially acquired the Passenger Service Improvement Corporation, responsible for coordinating the Pennsylvania Railroad and Reading Railroad services, and the Southeastern Pennsylvania Transportation Compact [SEPACT] which coordinated regional transportation services. On September 20, 1968, SEPTA acquired the Philadelphia Transportation Company, and on January 30, 1970, the Philadelphia Suburban Transportation Company. SEPTA continued to absorb other regional transportation companies. The above information helps date your hat. The earliest date is 1969. Since your uncle died in 1986, it does not date after that. The logo is an early version. Hence, the hat dates from the early 1970s. Although I found numerous internet secondary market listings for SEPTA conductor’s hats and baseball-cap style hats, I found no listings for the style of hat you own. Two conclusions are possible. First, the survival rate for this type of cap is not high. I favor this conclusion. Second, if one appears on the market, it disappears so quickly that public records of the sale do not exist. The value of the hat is regional. If found outside a 100-mile radius of Philadelphia, it might bring $20.00 to $25.00, more a curiosity value than a solid collectible value. The old adage – take an object back to the area of its origin and double or triple its value – applies. In Philadelphia and the counties served by SEPTA, its value is between $50.00 and $75.00. 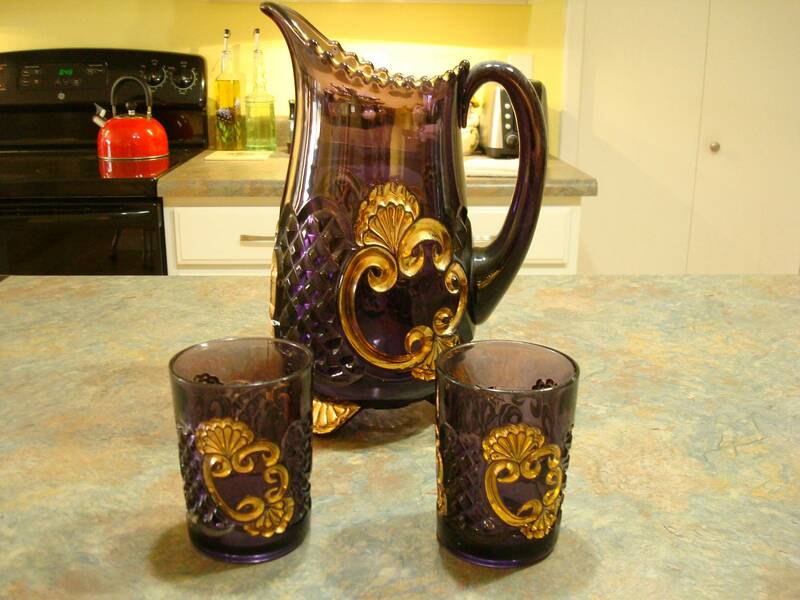 An amethyst glass Croesus pitcher and two matching tumblers. ANSWER: Your pitcher and matching glass set is in the Croesus pattern. Riverside Glass Works, Wheeling, West Virginia, introduced the Croesus pattern in 1898. Founded in 1879, Riverside Glass became part of the National Glass Company in 1899 and operated as Factory 15. Riverside initially produced the pattern in clear. Records are unclear as to whether Riverside or McKee & Brothers Glass, another plant within the National Glass Company, produced the pattern in amethyst and green. The pattern remained in production for more than a decade. In “Warman’s Pattern Glass,” published by Wallace-Homestead Book Company in 1993, the amethyst Croesus pitcher is valued at $325.00 and a tumbler at $65.00. The secondary market for pattern glass has changed significantly since that date. WorthPoint.com, a website that focuses on sell-through prices, lists an amethyst Croesus pitcher and four matching tumblers that sold on eBay in April 2018 for $200.00. An amethyst Croesus pitcher brought $150.00 on January 22, 2018. Groups of Croesus tumblers sold in 2018 at prices ranging from $12.00 to $20.00 per tumbler. Although the prices found in the 1993 edition of “Warman’s Pattern Glass” are no longer reliable, the book remains an excellent source for pattern identification. Attempts to determine a fixed percentage by which the 1993 values should be reduced to obtain realistic 2019 values is not workable. There are too many variables given the number of patterns and colors. A fair secondary market value for your amethyst Croesus pitcher and its six matching glasses is between $175.00 and $200.00. A Bell System Western Electric switchboard and headset. ANSWER: The first step is to identify the model of your switchboard. Based on the three photographs that accompanied your email, you appear to own a PBX Model 555 Cord Switchboard. PBX stands for Private Branch Model. Bell Systems introduced the Model 555 series in 1927. Model 555A could handle 40 lines. Model 555B serviced up to 320 lines. Numerous variations were made. Your PBX Model 555 dates from the late 1940s or early 1950s. An attendant answered incoming calls and passed them on to other internal phones. The PBX Model 555 was used in a wide variety of locations, for example, small telephone companies, business offices, governmental offices, hotels and motels, and non-profit organizations. Although examples of the PBX Model 555 switchboard have appeared on eBay with asking prices of over $1,500.00, realistic sell through secondary market prices range from $275.00 to $450.00. The question is who, given its size and non-usefulness, wants/needs a PBX Model 555 switchboard. My first thought was to contact a local historical society or museum, especially if the machine was used locally. If interested, the historical society or museum will ask you to donate it rather than offer to buy it. Your return comes through a charitable tax gift. Assuming you are willing to ask $300.00 or less, try Craigslist. If this does not work, list the switchboard on eBay. In either case, make it clear the price includes the buyer coming to your home to pick it up. If you feel ambitious, search the internet for prop companies and offer it to them. The website 1stdibs.com comes immediately to mind. Prop companies rent things to movie, television, and stage companies. Ask $500.00 and negotiate from there. Finally, contact your local telephone or cable provider. 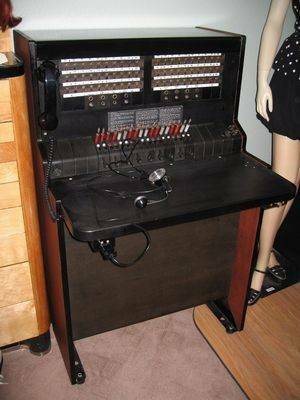 The owner might be willing to buy the switchboard as a display piece in the office. A Quality Dairy cream can. QUESTION: I worked at Boyd’s in St. Louis, with a fellow whose family owned Quality Dairy, one of the three big St. Louis dairies. I have a cream can marked “QUALITY D CO./ ST. LOUIS MO 11-38.” It stands 16 inches high and measures 8 inches in diameter. What is it worth? – AM, San Antonio, TX, Email Question. ANSWER: Quality Dairy Co. was located in north St. Louis. 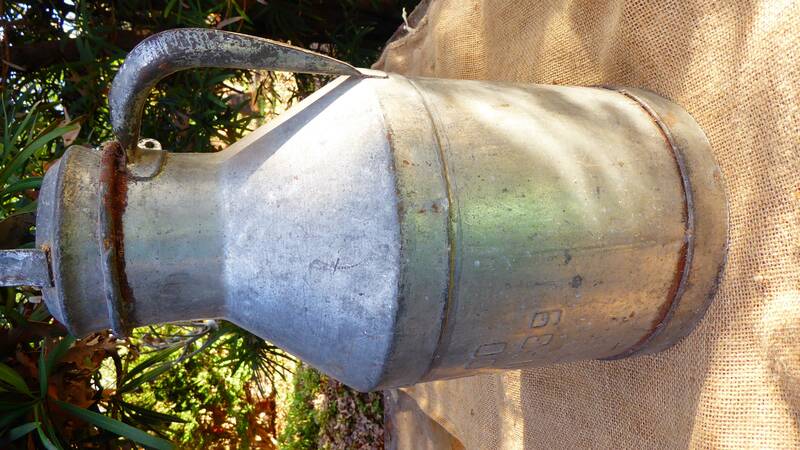 An internet search for its history produced only references to Quality Dairy memorabilia such as bottles and advertising booklets dating from the 1950s. Its mascot was “King Quality.” At one point, William Boyd (Hopalong Cassidy) must have endorsed the Dairy’s ice cream. A Quality Dairy pinback and wooden Duncan yoyo featuring an image of Hoppy were offered as premiums. 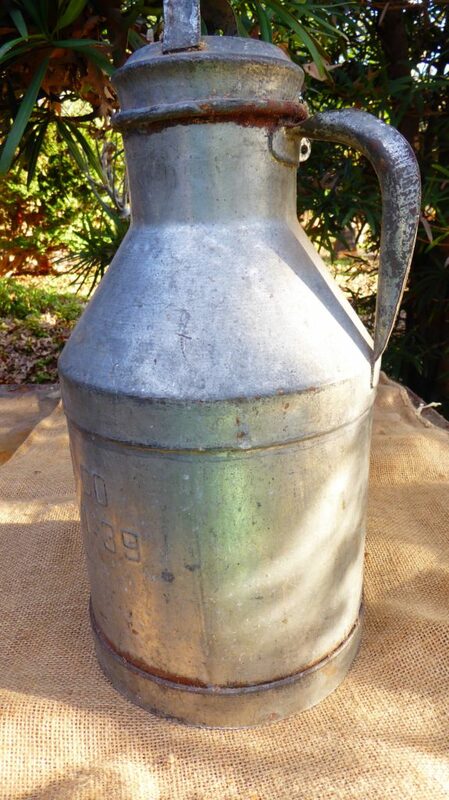 WorthPoint.com has a listing for a Quality Dairy cream can that sold for $20.00 on eBay on May 28, 2017. Like so many items, the value is regional. A range of $15.00 to $20.00 appears reasonable outside the St. Louis area. In St. Louis, the price is more likely to double. Harry L. Rinker welcomes questions from readers about collectibles, those mass-produced items from the twentieth and twenty-first centuries. Selected letters will be answered in this column. Harry cannot provide personal answers. Photos and other material submitted cannot be returned. Send your questions to: Rinker on Collectibles, 5955 Mill Point Court SE, Kentwood, MI 49512. You also can e-mail your questions to harrylrinker@aol.com. Only e-mails containing a full name and mailing address will be considered. You can listen and participate in WHATCHA GOT?, Harry’s antiques and collectibles radio call-in show, on Sunday mornings between 8:00 AM and 10:00 AM Eastern Time. If you cannot find it on a station in your area, WHATCHA GOT? streams live on the Internet at www.gcnlive.com.